What is that title over the top? You have to admit Zaxxon is a great Sci-Fi word. Now that I have that out of my system……. I think we all know that Star Wars (Episode IV: A New Hope) impacted just about everything after it came out. Considering it came out during the infancy of video games, both arcade and home systems, consumers wanted Star Wars like games. In some instances they got actual Star Wars games, but in many other instances they got games based on the basic premise, which could prove to be just as good if not better. Zaxxon was one of those games. 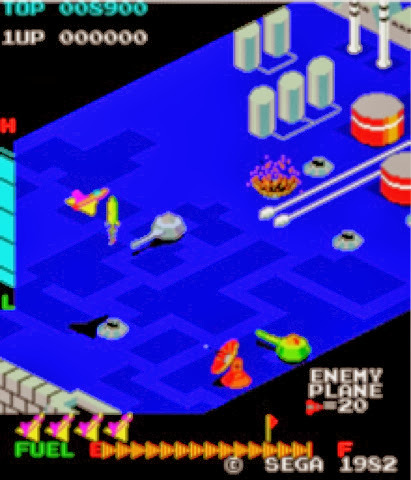 The arcade version was phenomenal giving the player an early attempt at 3D like effects in gaming. The Colecovision version was also good, but both it and the slightly inferior Atari 2600 version still lacked the graphics of their Arcade big brother. The games premise was, and stop me if this sounds familiar, is that you’re flying over the enemy base, sometimes in a trench, shooting at missiles, laser turrets, fuel tanks and other targets. Like I said Star Wars influenced a lot. Despite that Zaxxon was an original concept as a video game, and really opened gamers to the potential of 3D in video games to come. 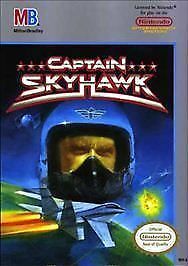 Although Captain Skyhawk isn’t an NES legend, there is a good case to show that it is an updated version of Zaxxon. Although the story line is a bit different the game play is similar. In this game the airplane is like that in Zaxxon faux 3D, but from a top down angle. The aircraft can be made to change attitude, and rolls like a real aircraft moving it far away from a 2D space shooter. Like Zaxxon though you spend most of the game attacking alien targets while flying through canyons (trenches) and the only thing that differentiates Zaxxon from Captain Skyhawk besides the improved graphics, is the Top Gun like interludes of air-to-air combat mixed in between canyon runs. 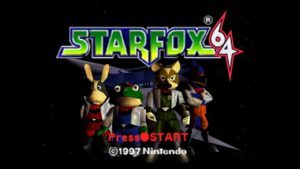 Using the improved processing power of the SNES, and the advancements in using polygonal graphics to create the illusion of 3D, Nintendo released Starfox in 1993. 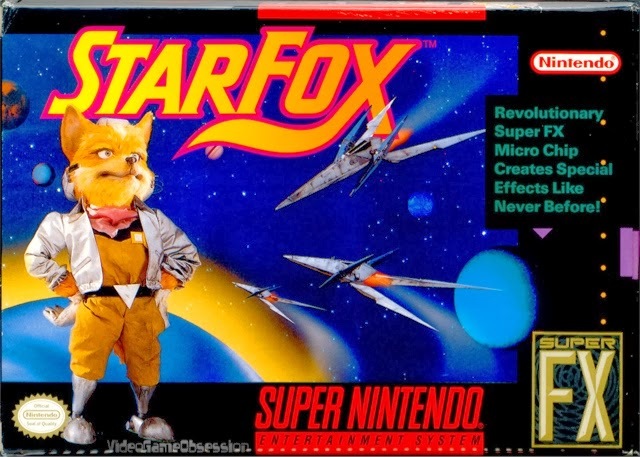 For the most part fans loved it, but for video gaming traditionalist the dawn of the 3D era represented by Starfox made the game somewhat controversial. Unlike Zaxxon and Captain Skyhawk, in Starfox the player was no longer viewing their star fighter from an angle but rather directly behind it making 3 dimensional movements with it. 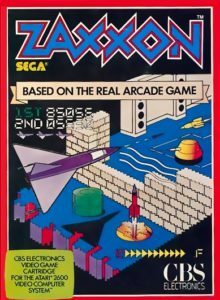 The game was revolutionary in its game play mechanics, but much like Zaxxon the game consisted of restricted movement and for the most part being made to move forward continually. This still gives the game the feeling of moving through a trench or canyon even if game scenery doesn’t imply it. This is the reboot of the original Starfox on the N64. Essentially game play is still the same and the descendant like connection to Zaxxon is still visible. The player gets a little bit more flight sim like freedom, but the concept is still the same. Starfox 64 is now Starfox 64 3D on the Nintendo 3DS. But besides that Zaxxon still has and influence in moderns games. Halo: Reach for instance, although an FPS, does have space flight scenes with a nod to Zaxxon via Starfox like control and viewpoint. But the Zaxxon influence over modern gaming can be seen in many space rail shooters on the iOS and Android platforms. 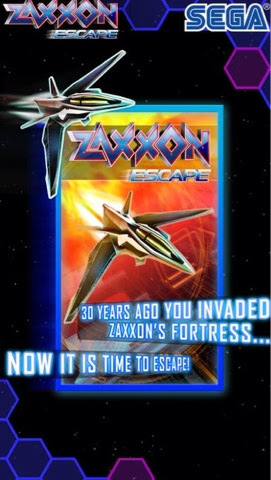 I should mention that one of Zaxxons most direct descendant is Zaxxon Escape and updated version of Zaxxon on the iOS platform. I have to mention that Zaxxon has left a lasting legacy, and that legacy has been enjoyed by a many gamers over the years. Zaxxon and its progeny have given us hours of fun in a 3D environment, and I have no doubts it’s influence and that of games following in its footsteps will give us hours of joy for years to come.